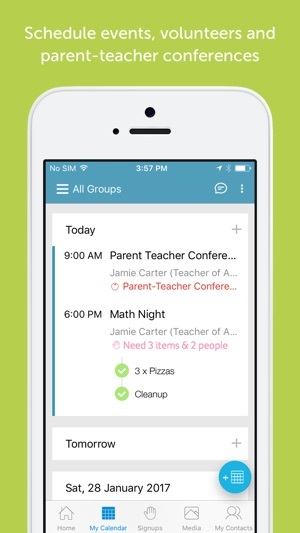 One app for all your parent communication. Bloomz now supports Student Timelines, a simple & beautiful way to capture and share student-driven portfolios. 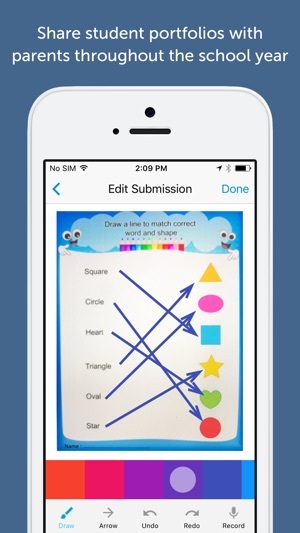 Students can publish their work by quickly scanning a QR code and annotating their work. 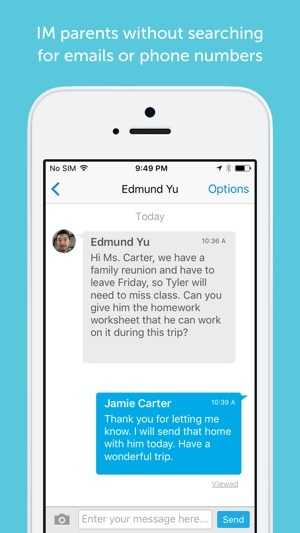 Teachers can approve and instantly share with parents on Student's Timelines. - Send alerts notifications for urgent matters, to both phone and email in one click. Bloomz is always free for teachers, parents and schools. Bloomz may experiment with different premium experiences, while continue to offer both educators and parents a free platform to connect, coordinate and communicate. The Bloomz Convenience Pack is an easy and quick way to download and share media posted on Bloomz, in full resolution, and without restrictions. * For only $1.67 a month (billed annually at $19.99), parents get photo and video downloads at full resolution on both mobile and desktop, with multiple media selection (including full albums) and unlimited access, even after class is archived. Note: Teachers can always upload unlimited number of photos and/or videos to share with parents at no cost. * Your subscription is effective for 1 calendar year starting with your purchase. Your iTunes account will be charged at confirmation of purchase and will renew automatically through your iTunes account within 24 hrs prior to the end of the current term at the then current price. You can turn off auto-renew at any time from your iTunes account settings, and you can cancel any time by emailing support@bloomz.com. You can ask for a refund within the first 15 days as long as no content has been downloaded after payment. Prices shown are in U.S. dollars. Other restrictions apply. Thank you for your continued LOVE for Bloomz. This release includes classroom sponsorship for free accounts, customer reported issues and also other enhancements. Hope you will LOVE this app even more... Please upgrade to this version and write to us at support@bloomz.com on any further improvements. I’ve been using Bloomz for my son’s class since September 2018. It is my first experience with a classroom app and I have to say that I’m not too impressed. It seems glitchy and not very intuitive. I have badge notifications that seem to take days and days to finally go away after I’ve seen any updates. This alone drives me crazy! When I see a notification badge I end up searching all through the app to find something new, alas it’s all old news. Then magically a day or 3 later the badge will finally disappear. I’m always left wondering if I’ve missed something important from the teacher or another parent. My other issue is that I get notified for every little “like” and “comment” on a post, yet when someone posts photos, there’s no notification. Nothing. Crickets. I’ve recently just stumbled upon some fun pics of my son from October that I had never seen. I’ve also been the main poster of photos for the class and I am 100% certain that no one has seen them. So now I’m wondering that if I post class photos, do I then have to separately send a class-message informing parents to head to the media section to see pics of their kids? Seems very silly and redundant when it could be a simple badge when anything new in any part of the app has been added. I could go on and on. I do like some features, but it could be a LOT better. 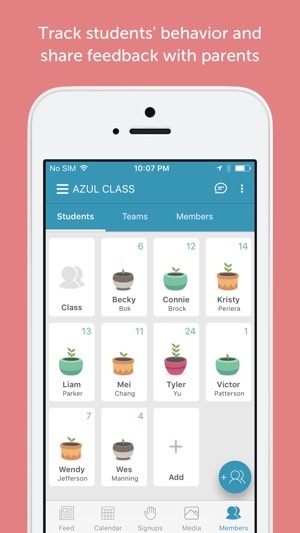 As a previous user of Remind and Class Dojo, there are a few things I really love on Bloomz! However, there is still much to be desired. The perks? Uploading multiple pictures is incredibly convenient! I love the sign-up feature whenever I’m having a class party. The ability to differentiate between a permanent post vs. temporary announcement has been really convenient. Also, Setting up parent conferences was a breeze with the sign-up feature! Unfortunately, there was a glitch a week before conferences and 2/3 of my times were deleted. That brings me to the other features that are lacking. I still occasionally get a notification bubble when there are none. On the website, I cannot consistently access my messages, as I can often only see the screen that “teaches” me the conveniences of their messaging system. The overall app is not as user friendly as other messaging systems. The BIGGEST issue I have is that the parents names are not visually connected to all of my students names. I have 34 students, there is no way I have all of their parents’ names memorized, so I would greatly appreciate it if the app was updated so students’ names were visible with all parents’ names when messaging and/or signing up parents. I’m looking forward to seeing how this app improves! I just started using Bloomz, in the middle of the school year. I increased parent connection to class announcements from 3 parents, on my old website, to 25 parents on Bloomz. I love how I can message parents in a less intimidating way, that is more like a text message than a formal email. I love that I can see who has viewed my updates, and parents can interact with it through comments and likes. I also love that families, who don’t speak or read English, can have my updates auto-translated into any language. Then, parents can write to me in the language that they are comfortable with, and I can read it in English. The down side is when I use the app, verses the online platform, I find there is a lag in posting, and items take very long to load. This is especially frustrating when I am accepting and welcoming parents. After I accept a parent on the app, it doesn’t update and shows I still need to approve. It makes it unclear to me if a parent is welcomed, and causes me to worry that it looks as though I am ignoring some parents.